In my previous post about Rachel Shiflet, I noted that not much seemed to be known about the background of this young foster child among the Vore children. 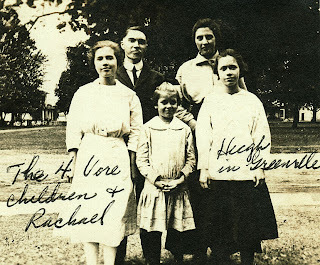 Rachel is said to have arrived in the Vore home in October 1910. The sense that my grandmother, Esther Lavina, had about Rachel’s past was that she came from an unfit home, though apparently little was said about it. 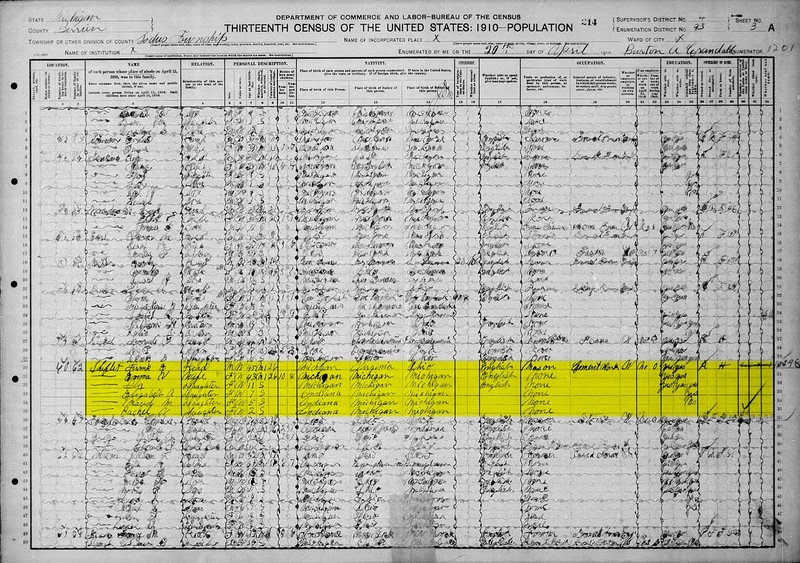 The decennial US Federal Census had been conducted in April of 1910, prior to Rachel’s arrival at the Vore home. So by searching that census, I hoped that I might find Rachel living with her birth family—which would be truly ideal. 1910 US Federal Census for Sodus, Berrien County, Michigan. Frank and Emma had been married for 26 years, and this was the first marriage for both of them. So it is relatively safe to assume that Emma was also Rachel’s mother. Emma had given birth to ten children, eight of whom were still living. Rachel was the youngest child living in the household at the time. Frank was a mason and cement worker. So now we have a glimpse—a snapshot—of what is almost certainly Rachel’s birth family. We do not gain any clarity on what conditions in that family might have brought about a need to remove her to another home for that ten-year period. In fact we see what might seem on the surface to be a stable home: parents, married for many years; a father, seemingly gainfully employed. But the census alone provides very little detail from which to draw any substantive conclusions. And because of their sensitive nature, most likely any records of Rachel’s foster care that survive would be sealed. In my next and final post about Rachel, I will explore what I found out about her after she left the care of the Vore family. Where did she live? Did she marry? And did she have children?